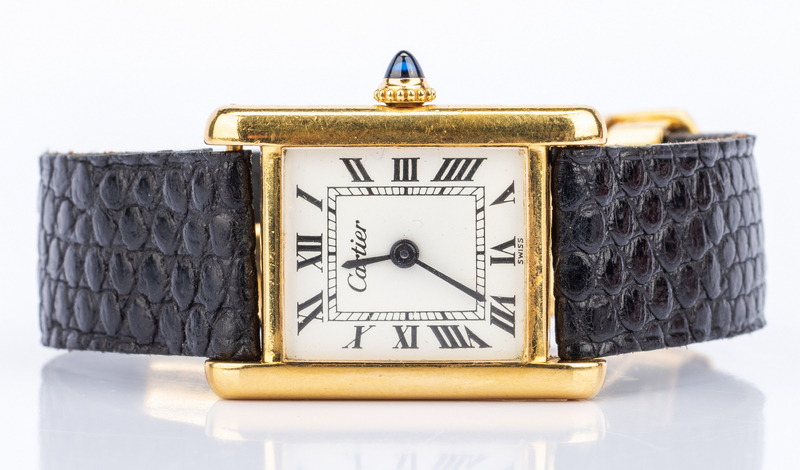 Cartier 18K Tank ladies' watch, 28 x 20 mm, manual winding movement, white face, Roman numerals, back marked Cartier, 18K Swiss, 18K double-fold clasp marked Cartier 15689 (worn) New York, on Cartier leather strap, 5 1/2" interior circumference. 28.4 grams. Circa 1980. 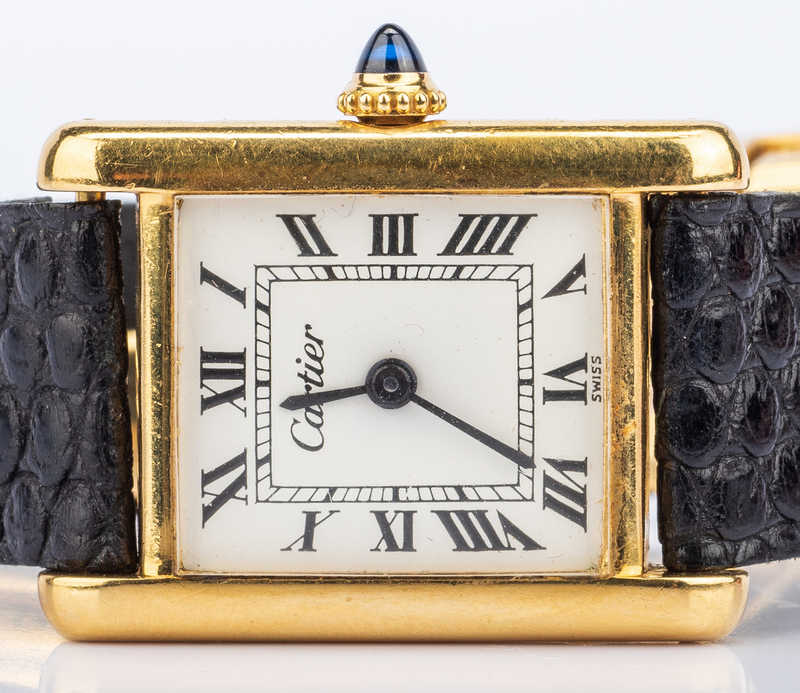 Cartier red box included. 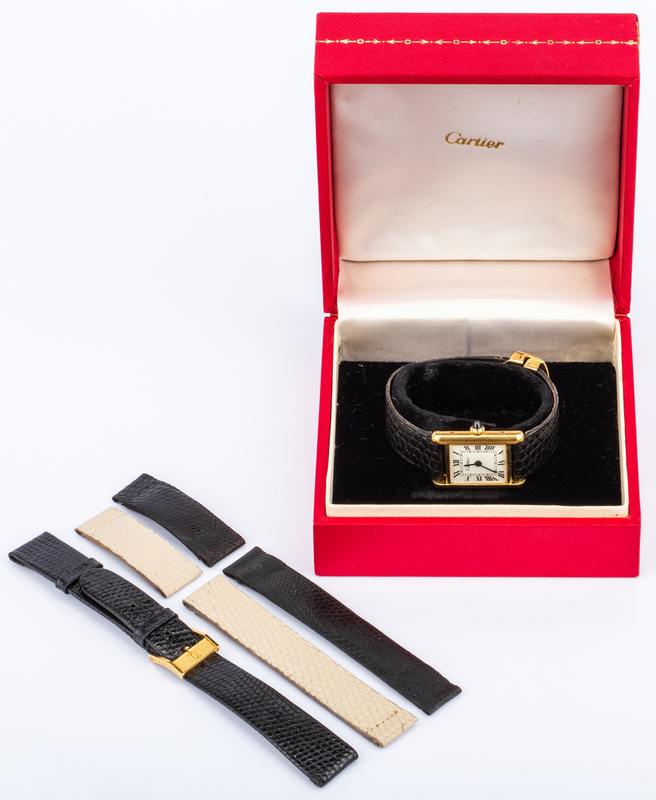 Three additional leather watch straps included. 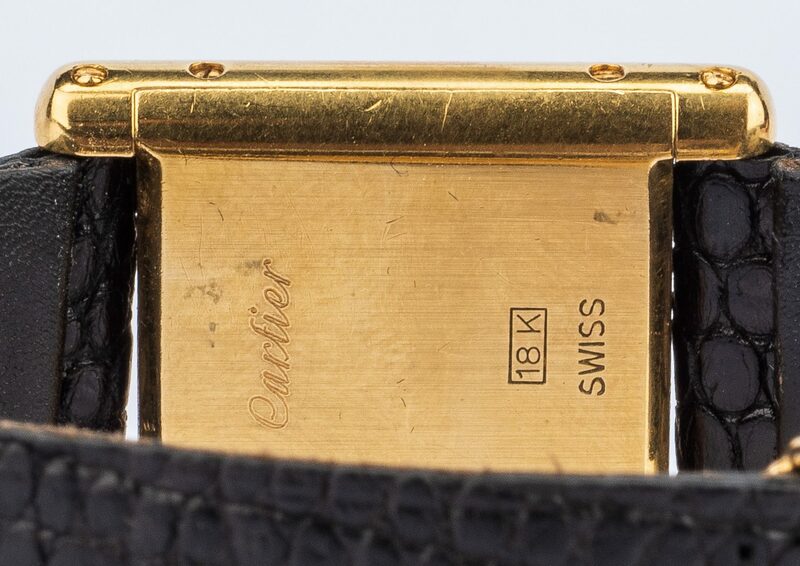 One is marked Cartier and has Cartier buckle. 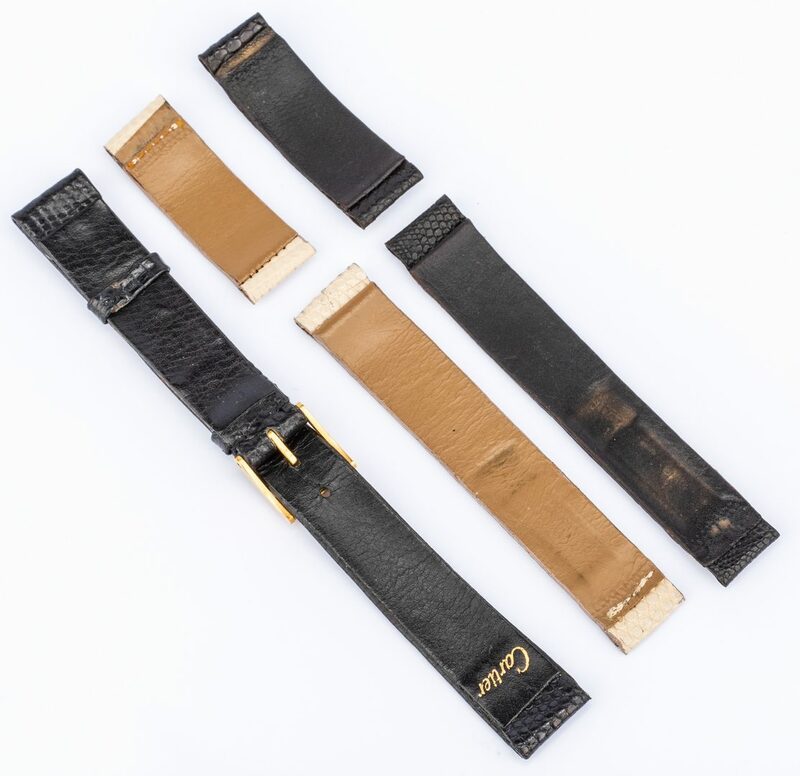 Two without maker's mark or buckle. Provenance: From the collection of a private estate, Knoxville, TN. 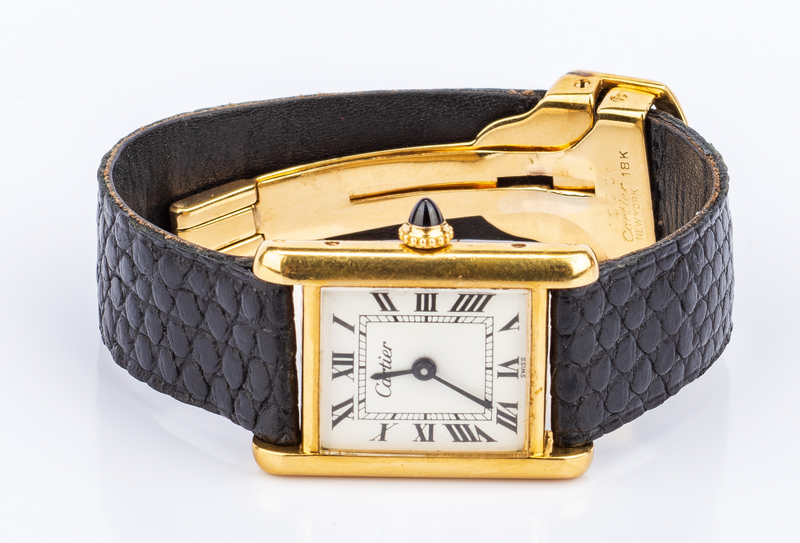 CONDITION: Watch not working at time of inspection. Minor surface wear.